Scope: The Peacekeepers have been operating within Panau's boarders as a police organization and government security details for some years now. A commission of Inquiry into the Operations and Resources available to the this organization will now come under review and recommendations passed down to Parliament. Interviews were conducted with Ex members of the Peacekeepers, Current Members and Related Parties from the Government and the Military. All interviewees were advised of their rights. 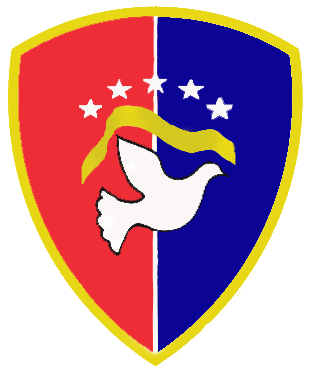 The peacekeepers is a government initiate to create a stable police force within Panau. At it's inception is was met with great hostility by the Enforcers who had created their own policing Sub-Unit within their ranks. This was seen as a direct threat and tensions rose over jurisdiction at crime scenes. I'm afraid the biggest legacy of the Peacekeepers will be their ambition to become an army at some point in the past. Directing their resources at actual crime fighting in a country with enough crime for decades to come would be of much more help to our nation. Gearing them up as a de facto police force that deals with the non militarized side of the national issues could be of a great service to the country and a way to help the army with dealing with the current situation at Panau. Has shown competency in her work so far. I have no reason to complain or question Shae's position or skills as a Chief of the Peacekeepers. I would also add that in the current state of affairs, economy and internal conflict in our nation, one has to always be aware that any law enforcement agency will always have a very hard work ahead. My improvement suggestions would rather go to the definition given to the Peacekeepers upon their inception and that, despite the different leaderships they had, might still need to be defined. I'm unaware of what you mean by "all three divisions". I am unaware of any hierarchy, or any roles of said hierarchy. I follow my orders, be it by the President or other Prime Ministers. I then dispatch orders as I see fit to combat the threat brought up to the people. I answer 911 calls and send out peacekeeping patrols. I keep the GovHQ safe. That's what I do. Everything else is above my pay grade. Thought's on Government support from Law Enforcement Branch to executive committee? If we have received Government support, I have yet to hear it. We are our own branch as far as I was informed. You mean my thoughts about the support given to those 2 specific departments of the Government (executive and law enforcement), or by these 2 specific branches of the government when it comes to the army? When it comes to the Peacekeepers it is my belief they have contributed to assist us in many times and in other times have contributed to set up a possible confusion between police and army. The secret to increasing ours and their productivity lies somewhere in the middle. From what I have seen they were always well supported by all government branches and departments. For our Government to move forward not only must Peacekeepers be held accountable for actions but as should their superiors who represent them on the floors of Parliament. As a team we must accept our past mistakes and move toward the transparent, proud future. Clear and Identified career path; Currently without the ability for Peacekeepers to be adequately rewarded for the cases closed and the rules of Justice enforced in Panau. - Liaising with the Peacekeepers to establish a clear and concrete Mission Statement and Guidelines that will be available to the public, these guidelines will be to reflect not only the position of policing in Panau and moving away from the militarization. Thereby clearly defining jurisdiction. - Establishment of the reporting committee - A bi-weekly briefing on current active cases, or immediate on special cases by the chief or nominated representative to the Law Enforcement Branch. This will allow for the chief or nominated representative to request more funding or resources for the tasks at hand and the Department to offer incentives to the Peacekeepers.